Before I came away I searched high and low for a good beach bag. The only options I could find we’re either straw or plastic. No offence but these bags have been around too long and I’m kind of sick of the sight of them! I eventually gave up on the idea of finding one and thought I’d try again on holiday. When in Abu Dhabi I wanted to check Zara out and see what the difference in price was. I was not disappointed. Now it really isn’t any cheaper but they did have some of their latest line in stock. Items I’ve been fiending after but unable to get in the UK! 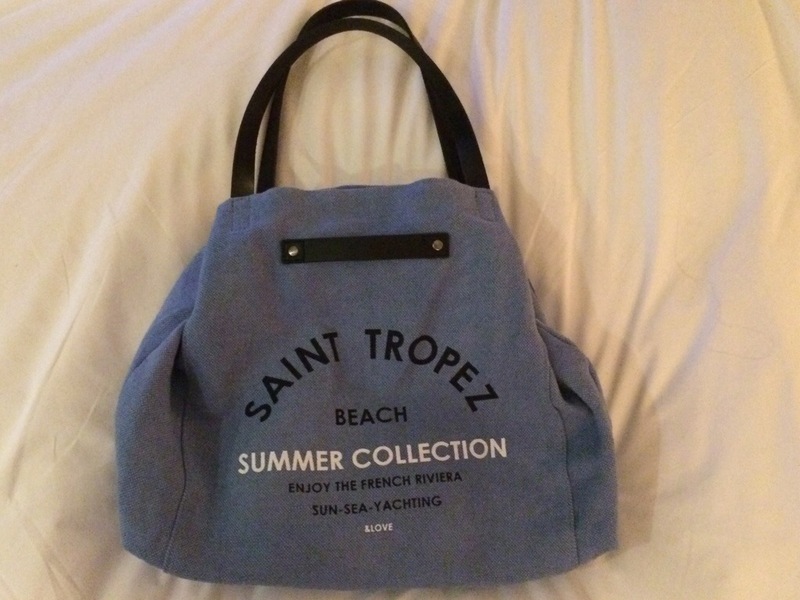 One such item is the Saint Tropez beach bag. Thanks to my lovely Ché for getting it for me! 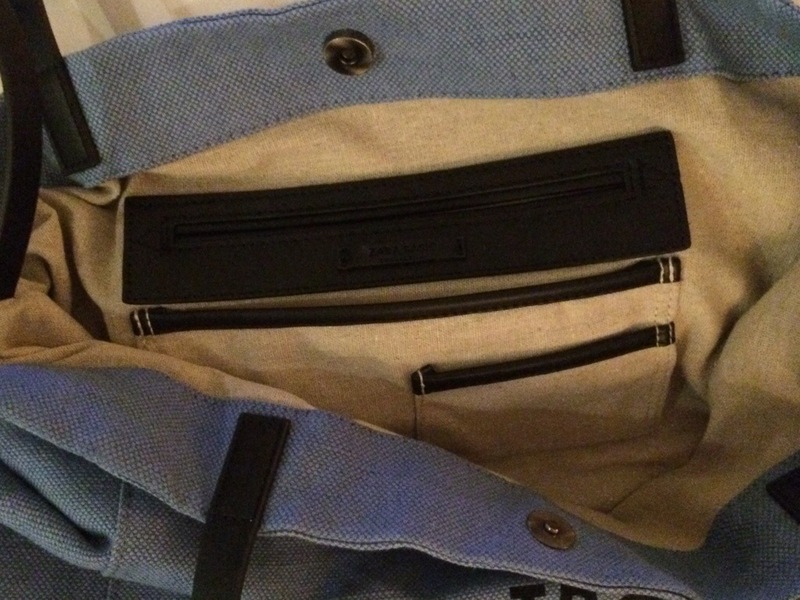 I absolutely love this blue canvas bag. It’s big enough to fit in everything I need and even has a little quilted purse attached inside. 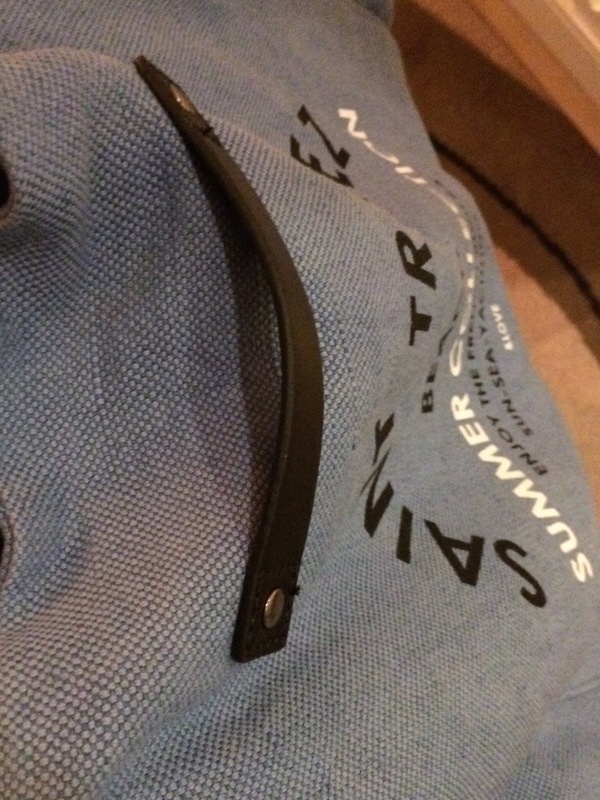 It can be used with just a press stud to fasten it, or with the tie strings to give it a different shape. Either way it’s a perfect summer accessory that can be used day or night, on holiday, or at home :0) go check if your Zara has them, they’re set to be this seasons must have accessory! 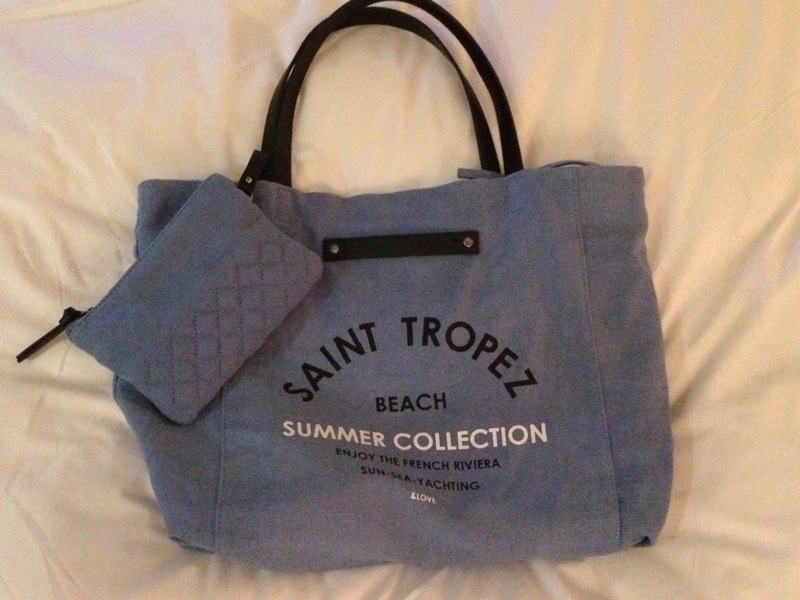 This bag blue canvas is new and very cool ! I can buy in london ?